Before Hadrian died in 138 AD., he followed in the modern Roman tradition of naming his successor. In this case in 136 AD, he chose Lucius Ceionius Commodus under the name of L. Aelius Caesar. This did not come about, as Commodus died prematurely before Hadrian and so he had to select another to follow his reign. This time he chose Antoninus Pius, a highly regarded senate member, who was noted for his devotion to the Roman Empire and his duties within. He was also regarded as a man of truth and decency. Having been a consular since 120 AD., he had become a member of the Emperor's Omsilium, who were a group of advisors that the Roman magistrates relied upon for advice. His position gave him a thorough knowledge of the workings of Rome and the empire. Hadrian liked to see how his subordinate worked in the field, so for the last year of his reign, Pius had a great deal of control in the administration of the Empire, so when he did take the throne, he was well prepared for the task. When a senate member was succeeded to the throne, there would often be dissent by the other members as to his suitability for the office. In this case the transition went smoothly, probably because of his proven background, an attitude that continued for the rest of his life. His method of government was to continue with the consolidation of the Empire. Antoninus had a policy of keeping effective governors in office well beyond their pre-planned reign in a belief that a good governor was worth keeping. He saw this as a way of ensuring they had time to complete their work, which he trusted. This was one aspect the senate did not like, seeing it as a blocking measure to the brighter up and coming elements in the administration. In many respects he was like Hadrian in holding the Roman Empire in a static state without expansion just for the sake of it. Unlike Hadrian, he did not go in for massive, elaborate building developments. Even so he did have one policy in Britain that went completely against his character. He was going to expand the northern frontier, even if it meant all out war. Hadrian's Wall had been an extremely costly project, one that went well over budget because of the changes made during it's construction. To do this he appointed Q. Lollius Urbicus, previous the governor of Lower Germany to the post of governor of Britain. His first act was to extent the base at Corbridge, where the road built in Agricola's time had crossed the River Tyne. We know that the building work was carried out between 139 and 140 AD. This showed an interest in advancing into Scotland where the East coast had been traveled before. If Antoninus was not given to war so easily, then why was he making such obvious preparations? The answer, as in most cases, was political. The most probable reason was the desire to strengthen the northern frontier and so a push into Scotland was deemed militarily justified. It is this turf wall running from the Forth to the Clyde rivers that formed the Antonine Frontier. It is interesting to note that Priscianus was replaced by C.. Papirius Aelianus in 146 AD. Urbicus may have been recalled after the fighting, but we do know that a new name, Cornelius Priscianus, appears in the records. He would have been the British governor between 143 and 145 AD. when the building of this second wall took place. The structure of the wall is very similar to Hadrian's Wall, but it was built on a lesser budget. The first wall having been so overspent, economies had to be made to justify the construction. The wall had a base of stone 4.3m (14 ft) wide with a deep ditch in front some 12.3m (40 ft) across and 3.1m (10 ft) deep. There was no Vallum behind the wall as is the case of Hadrian's Wall. This was purely down to reasons of economy defended annexes were used instead. The forts built for this wall were much closer together. Having built this wall over the shortest distance between the east and west coasts meant it was much shorter then the southern wall and more heavily defended, having a troop concentration double that of Hadrian's. The construction of the Antonine Wall enabled the Romans to patrol the area easier and to fend of any incursions with fewer troops. In Hadrian's Wall. the design had a flaw so that any battles had to be fought on open ground, with troops being drawn in form other parts of the wall. This new one could be defended in a more efficient manner, since there were fewer gates that could be seen as weak spots. In is interesting to note there were forts north of this wall to supervise areas where the tribes may live in large gatherings. This reoccupation of Scotland was intended to be permanent. This is borne out by the Vallum at Hadrian's Wall having regular cuttings made into it with the waste material put into the ditch to form a bridge. The extra troops needed on this wall were taken from the Pennies, which indicates that England was in a peaceful phase at this point. The Antonine advance was a huge success, both military and political, but when the Antonines actions are matched against his attitude, the big question arises. Why? The only real answer for such a warlike action in a time when the country was largely at peace. The only plausible reason seems to be to bring the Scottish tribes under control of the Romans. The very fact the new wall was placed where the country is at it's narrowest, shows the wall would need to be heavily defended,. The shortest line between the two coasts would use the least troops. There is also the propaganda viewpoint where the Roman Empire was seen to expand, and would have improved Antoninus' reputation and credibility This would have offset the uprisings that were hinted at in writings. Again it appears to be the Brigantes who came to the fore. It is recorded that the military were still sending their troops to Britain, and their best ones. This implies that all was not well with the British. 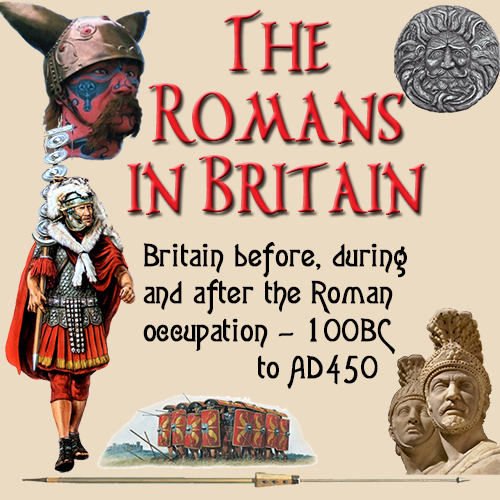 This very fact lends credence to the belief that Rome regarded Britain as a jewel in their crown and any governor sent there would have a most prestigious placing.